Skin cancer is a result of the damage of skin cells. This damage causes an abnormal growth of these cells. The most common cause for this cancer is over-exposure to ultraviolet radiations from the sun. This condition can be prevented by avoidance of excessive exposure to ultraviolet rays. Treatment is commonly through surgical removal. The earlier this cancer is detected, the better the chances of avoiding surgery, dis-figuration or death. Asymmetry: one half of a mole or lesion doesn’t look like the other half. Border: a mole has an irregular, scalloped, or not clearly defined border. Color: the color varies or is not uniform from one area of a mole or lesion to another, whether the color is tan, brown, black, white, red, or blue. Diameter: the lesion is larger than 6 millimeters (quarter inch) or larger than a pencil eraser. One of the easiest and quickest self exam is brief survey to detect possible skin cancers. 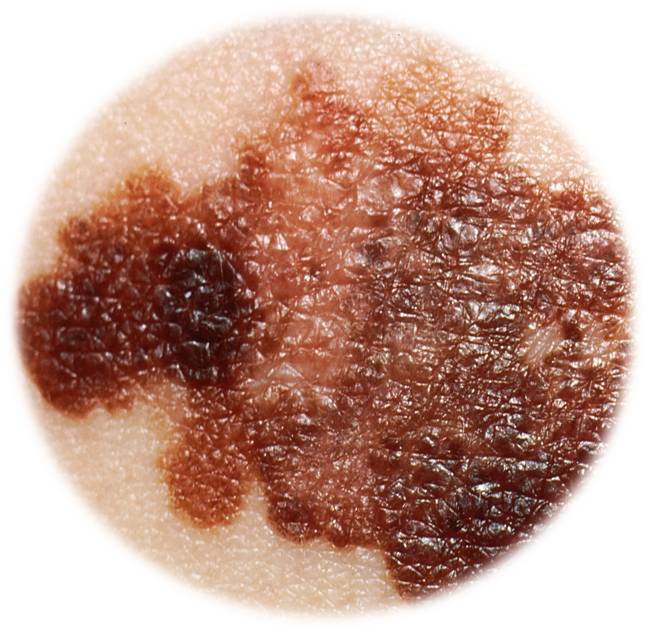 Simple skin self exam can reduce deaths from melanoma by as much as 63 percent. Make a drawing of yourself. Include a full front views of your head (both sides) the source of your feet, the tops of your feet and the backs of your hands. Briefly describe each mark on your sketch; its size color, texture and so on. Repeat the exam about once a mouth. Watch for changes in the size, texture, or color of your skin. Any changes detected should be brought to the attention of your physician. You also should contact a doctor if you have a sore that does not heal. Sun exposure: Excessive exposure to ultraviolet light. Protect yourself with a sunscreen medication. Work environment: Working in mines, around coal tar, or around radioactive material can cause cancer of the skin. Complexion: individuals with light complexion Ned more protection than others. Numerical risks for cancer of the skin are difficult to state . For instance a person with a dark complexion can work longer in the sun and be less likely to develop cancer than a light-skinned person. Furthermore, a person wearing a long sleeved shirt and a wide brimmed hat who spend hours working in the sun has less risk than a person wearing a swimsuit who sunbathes for only a short period. The risk increases greatly with age and family history also plays a role. If any of these conditions apply to you, you need to protect your skin from the sun or any other toxic material. 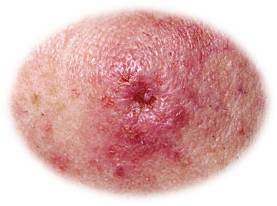 Changes in moles, warts or skin sores are important and should be evaluated by your doctor.